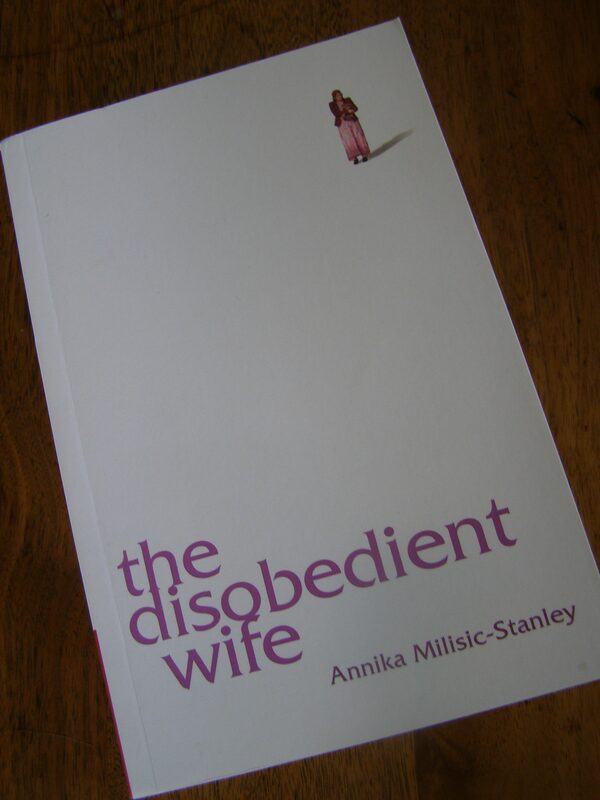 The Disobedient Wife intertwines the narratives of a naïve, British expatriate, Harriet, and that of her maid Nargis, who possesses an inner strength that Harriet comes to admire as their lives begin to unravel against a backdrop of violence and betrayal. Through Harriet’s journal, we see Tajikistan through the eyes of an ex-secretary and diplomat’s wife. She is blissfully unaware of the underground Islamism that threatens the stability of the iron regime and ignorant to the hardships that face the ordinary people in her employ. Rich with sense of place and deeply humane, Milisic-Stanley brings the acute observation of an artist and social anthropologist to bear on this moving and compelling story of how two women survive and thrive in difficult circumstances. The setting: I knew next to nothing about Tajikistan before reading this book. I learned about some of its history, geography, politics, conflicts and how all this has created the condition of the country as it is today. Tajikistan and its people are a big part of this story. Harriet: Harriet is absolutely unlikable. Her behavior is selfish and cringe-worthy. At first. And her friends are even worse. Together they form a little triangle of negative energy buzzing from one to another, feeding off of each other. They complain about their terrible lives, giving them an excuse to over-drink and over-eat, while their nannies take care of the children. BUT. Over time, Harriet learns more and more about her nanny, Nargis, and the impoverished conditions she lives in. Harriet is shocked by what she finds out. She begins to feel more sympathy for her as she learns about some of the reasons why Nargis lives the way she does; what has gone on in her past. These revelations help Harriet to come out of herself and think about someone else. AND. At the end of most chapters we are privy to Harriet’s thoughts about herself and her life; thoughts of isolation and loneliness. This helps us to see that she is not as bad as she seems; she’s lonely and depressed and at the end of her rope. Over time, we see these consuming thoughts about herself lessen as she writes more about Nargis. She also goes from talking about Nargis as a lowly and untrustworthy employee to recognizing her as a brave, strong woman who she would like to count as a friend. Whenever I feel frightened of the future, uncertain of whether I can manage alone, I think of her. What would Nargis not be able to do in Britain? What could she not achieve without tradition and poverty holding her back? Her trials were so much worse than anything I have had to face, yet she prevails. Nargis: Could I ever be as brave and strong as Nargis? I don’t think so. I think I would have crumbled long ago if I were in her shoes. Her first husband died, she left her second husband because he was abusive, which brought shame upon herself and her family. She lives in a one room hovel with her parents and her two older children. Her baby was taken from her by her husband’s family, and she can only see him periodically, mostly because she has to work so much but also because she is terrified of running into her husband. She lives silently with all of this every day, while working for Harriet and listening to her complain about her seemingly easy and lucrative life. Lying in the darkness, she reflected on Faisullo growing up with those grey, tired people, alone in the stuffy air of that hated apartment. How will he understand my abandonment when he grows up? She thought of Ahmed, gone these last four years. Why didn’t I insist he went to a doctor earlier? She pondered on the damage done to Hussein who had never recovered after living with Poulod, frightened to speak up, preferring to blend into the crowd, suffering from terrible nightmares from which he woke up pale and trembling…. She was to blame for all of it. How stupidly she had lived her life. BUT. As Harriet smartens up, the two women tentatively become friends of a sort. The dynamic between the two and the outcomes of this shifting relationship is what I loved most about the book. Harriet: Harriet thought being an expat wife would be exciting. But she quickly found out that it can be isolating and lonely. You leave your family and friends behind and hope that you’re able to make new friends. At the very least you should be able to count on your partner for love and support, right? But Henri works all the time. And he believes that as long as Harriet has all the material things she needs and enough money to pay for help with the kids and meals out with her friends then she should be happy and grateful. But it doesn’t work that way, and Harriet finds herself wondering what happened to the man she married. Harriet and Henri do not have an equal relationship; Henri is in control over what they do and when they do it. He is against leaving Tajikistan even though Harriet begs him after they almost lose their daughter to an illness and an ill-equipped hospital. He also continually tells her not to treat the servants like friends or they will take advantage of her; even try to steal from her. This makes her wary of Nargis at first, until she does decide to go against Henri’s wishes and get more involved in Nargis’s life. I don’t know if I can be alone. I am so accustomed to being told what to do and where to go by him. I hate myself as I write that sentence. Henri basically just wants to have the much younger trophy wife who stays at home and has his children, while he works and goes on business trips and has affairs. They had nannies and other servants, he could not see what she was making such a fuss about. All she had to do is get pregnant and give birth, I handle everything else, he thought indignantly. Nargis: In Tajikistan a woman is still owned by her husband, and it is very hard to leave a man without it ruining your reputation. If you have children together, the husband’s family have the right to keep them if the wife leaves. Nargis was fortunate in her first husband – they married for love and had a happy life until he got sick and died. Nargis was heart-broken and not thinking straight when her parents convinced her to marry Poulod. It was a rare thing for a widow with two children to be given another chance at marrying. So she agreed. Poulod turned out to be nasty and possessive. He hated that she was still grieving her first husband, and that her son looked just like him. He abused all of them. On the day she left, he tried to stop her with a pair of scissors, landing her in the hospital. Despite the fact that they have left, Nargis still lives in fear for herself and for her children. Things get worse when Poulod starts to do some drug smuggling for the local mafia, and he wants Nargis to get in on it, too. Now, she must find a way to save their lives. Both women in the book feel trapped and helpless because of their husbands; Nargis is more physically threatened while Harriet is more emotionally and mentally trapped. It would be unrealistic to expect everyone to live happily-ever-after, but the end offers much hope for both women in the form of freedom from their husbands. I guess by depth you’re referring to the look we get at the two women, because I didn’t feel as if there was much depth into either of their relationships with their husbands. It was hard to see what drew Harriet to Henri in the first place, other than her social ambition. And poor Nargis got shoved into her second marriage so quickly that she didn’t have a chance to know what her husband was like. Yes, my two favourite parts of the book are 1) the relationship between the two women, and 2) learning about Tajikistan. I regards to wives, I think the biggest thing we can take from the book, is that any wife from anywhere can feel oppressed/abused/trapped, because there are just too many ways to go about it. 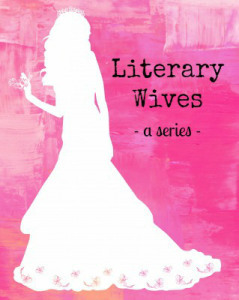 Literary Wives, what a fascinating book club! 🙂 I love that from the many something wife titles, this is actually written by a woman. Have to confess to not having read anything set in or from Tajikistan yet, I should put it on my list! I would guess from the name, but perhaps you know if this is an #ownvoices book? I tend to enjoy books that focus on women’s relationships with each other, will have to look out for this one! After reading the book, I wondered, too, what the author’s connections were to Tajikistan or the story of her characters. I found a short bio of the author, which I should have included in my review, but here it is now! It’s a title that makes my hackles rise a little but your description of the two husbands and the way the relationship changes between Harriet and Nargis illuminates it nicely. The title’s meaning changes as you read the book. To be the ‘disobedient wife’ is a good thing! Ah, but for me it implies that there’s an issue of obedience one way or the other! I like the idea of the meaning changing as you read, though. Which, of course, there shouldn’t be – you’re right! Sounds like this is a great example of the more we know about a person the one we can see things from their viewpoint. It is! A good reminder not to be so quick to judge or dismiss someone else. At first, Harriet just dismisses Nargis as unimportant and assumes her life is fine. And until Nargis learns more about Harriet’s situation, she assumes she’s completely selfish. Even the reader feels this way about Harriet, at first, but you can’t help but change your mind (at least a little) as you read. It’s hard to write a character who starts out so unlikeable and then improves. And I like that you get to read about Tajikistan and its history and people as well; I don’t think I’ve ever read a book set in that part of the world. I hadn’t either, and I found it really interesting! There are still such strong ties to Russia, which is another place I haven’t read much about in contemporary literature. I love your review! It is so thorough and I like the use of “at first” and “BUT” and “AND.” This book was exactly that. We think we know what is going on, and then we get the full story and that creates empathy and ultimately brings the characters together as well. I love your description of Harriet “at first.” She did seem insufferable, but I began to see her plight and appreciate her reactions to it as I kept reading. I think Nargis was always impressive. I was so worried about her little son the whole time. I don’t think I could survive that situation. That was the part that got to me, too – not being able to see her son. How would that feel? I can’t even imagine. Nargis was so impressive right from the start. Harriet is so caught up with herself and her own misery at fist, and I loved that as soon as she started thinking about someone else’s problems (in this case, Nargis), this is where she began to turn around. And to just have that one friend to talk to. Her other ‘friends’ just added fuel to her fire. Harriet’s experience has a expat wife sounds much like that of the women in The Expatriates, which I read (and loved) earlier this year. And – I love the theme of this book club – SO up my alley! I was thinking about The Expatriates as I was writing about this book. I haven’t tread it, but the subject is pretty clear by the title. I wondered how happy/miserable the wives/husbands/couples are in that book? I will have to re-visit your review! I should also mention (and should have done it above) that our next book is ‘How To Be A Good Wife’ by Emma Chapman, in case you (or anyone else) wants to read along! It will be reviewed the first Monday in August. Love the quotes you selected. I especially love the one her mother states to her about a good wife being an obedient wife. YUCK!! I would never make it. I fear I would be hell-bent on revenge against Pouloud. I was actually thrilled he would be imprisoned, and hopefully they got to him and killed him anyway to keep him from talking. Oh, well…I guess I’m feeling a bit militant in the aftermath of this one! 🙂 Nice review, as always! I did note the information about Tajikistan and enjoyed that part, too! Have you read any books in the book club that explore the happier aspects of marriage? I really like the sound of this one. Harriet would have been utterly unbearable as a character, if she didn’t have Nargis to balance her. And the husbands…oh my…at least the women are free of them in the end. Good riddance! That’s a great idea- to explore the role of wives in literature. I started reading because it was set in Tajikistan and this must be the first book set there that I have come across. I loved the way you analyzed the relationships of Harriet and Nargis. Some shocking things they had to endure as wives for sure. I loved the setting – I had never read a book set in Tajikistan either, and knew very little about it. I feel a tiny bit smarter now! This book sounds like a great pick! This is so fascinating – that there is a book club dedicated to studying the meaning of being a wife. Actually, I’ve been noticing over the past few years, there are so many books coming out with titles like “The Pilot’s Wife” or “Silent Wife” or also, daughter books, i.e. “The Miner’s Daughter” etc. The feminist in me cringes every time I see such a title (how come there are no books on “The Baker’s Husband”?, or “The Ballerina’s Son”? ); but it sounds like the story here at least is about women escaping and finding freedom beyond their marriages, which makes sense with the naming of the book. Thank you for another insightful review! I agree. One of the reasons Ariel decided to start this club was because she noticed all the titles with the word wife in them. We’ve branched out now, though, to include any book about the experience of being a wife. I love reading about marriages, so I have been enjoying the club a lot so far! Maybe someone should start one for all the ‘daughters’ that are mentioned in titles! haha It does seem so strange that there are rarely husbands and sons – do they think it won’t sell? ?